Using English as her starting point, the author introduces the International Phonetic Alphabet-the standard for pronunciation used by singers-and applies its symbols to the three languages essential to a study of vocal literature-German, Fre nch and Italian. 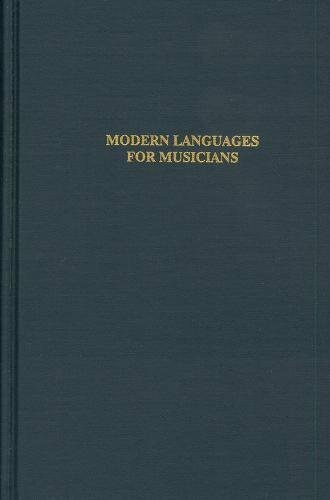 The book is dedicated to a simplified grammatical approach which will ultimately enable all musicians to read treatises and journals, translate song texts, perform with understanding, and command the basic language skills of conversation. If you have any questions about this product by Pendragon Press, contact us by completing and submitting the form below. If you are looking for a specif part number, please include it with your message.